interior perspective, originally uploaded by Vidaflores. This was our favourite function of the Month. 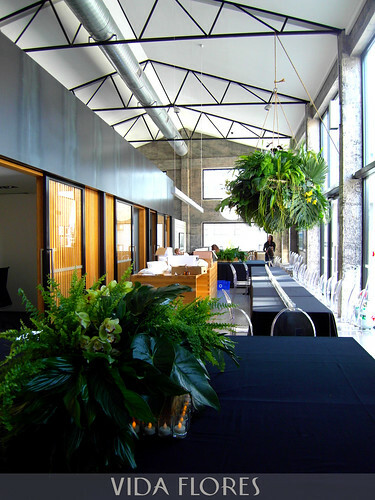 Our, design just looked perfect in the industrial space. The arrangements using just green plants and foliage with a few green cymbidium orchids were so fresh and lush.